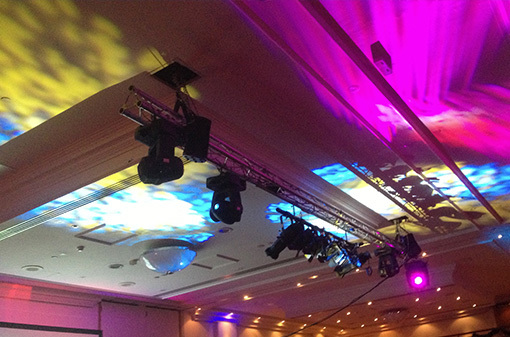 Lighting is a major part of the overall success of any conference, awards ceremony, product launch, music festival or alike. Here at Impact Event Production, our dedicated lighting technician will create wonderful lighting designs to fit the mood of your event. Whether it is to light a speaker at a lectern or a panel on a top table, or whether it’s to create lively disco effects over a dance floor with intelligent lighting and lasers – then let us discuss your requirements. We stock Pearl Lighting Desks, Source 4 Profile Lighting, Fresnels, Mac Krypton Intelligent Lights, Chauvet Freedom Pars (battery driven uplighters), LED Battens, and Par Cans, Laser Lighting. We also stock 3 phase power distribution and dimming equipment often required to go with the above lighting.